Forgiveness from God coupled with responsibility toward the other person are key to restoring relationships. 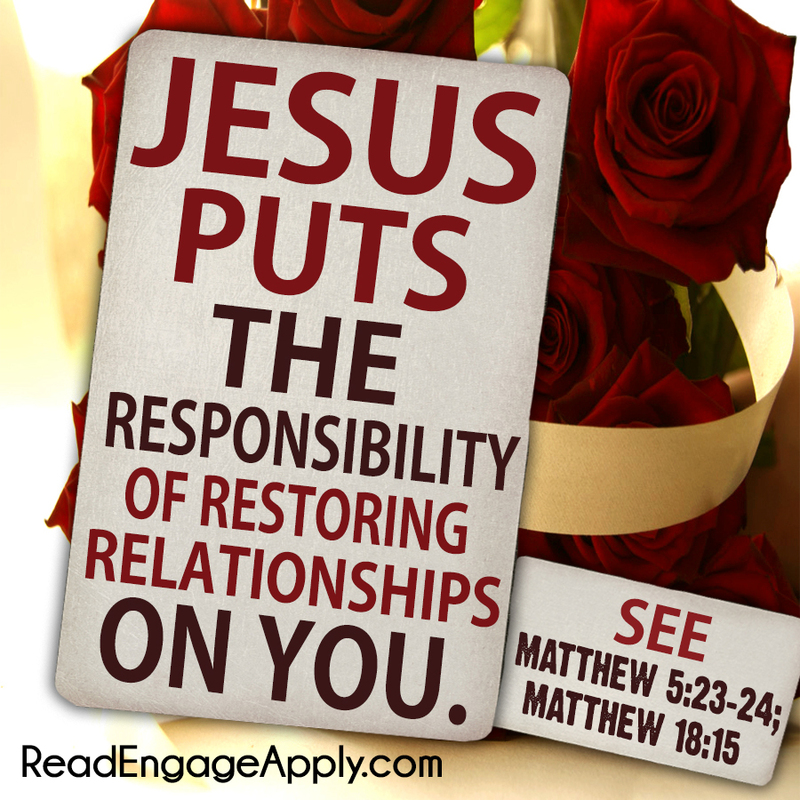 In Jesus’ eyes, those broken relationships are always our responsibility. If someone has something against us, he calls us to go and make it right (see Matthew 5:23–24). If we have something against another, we’re responsible to take the initiative to settle our differences with them (see Matthew 18:15). It’s not often comfortable, but it’s often the right thing to do. Do whatever it takes to restore the relationship. Do it because it pleases God and because your relationships will be richer for it. God extends kindness to us although we do not deserve of it. In the same way, we are called to reflect God’s kindness to others, regardless of how they choose to respond. Don’t wait for a crisis to extend loving-kindness to others. Take the time to ponder who is suffering from a recent heartbreak. Maybe they could use a listening ear or a shoulder to cry on. Who feels discouraged in your circle of friends? Maybe they need to hear an encouraging word. Who might feel alone? Perhaps you could pick up the phone and tell them that you care. Be faithful to do your part and watch God’s encouragement work in their lives. Thought to focus on today: Restore. The above reading was from a devotion I provided for the Busy Mom's Bible published by Zondervan. Used by permission.